According to the World Bank, Extractives industries (Mining and Oil & Gas) represent more than 11% of total world energy consumption. In the case of some mining industry, as Copper, 40% of this energy requirement is in form of heat. In oxides copper mining, the production implies pit or underground extraction, mineral processing and metallurgy. In other mining industries, as Aluminium, the metallurgy is made far from the mines in order to look for the cheapest price of energy … which usually means going to the north (Norway, Sweden, Iceland, Russia, Canada …). The fact of price is critical, one-third of the operative costs in aluminum smelting is power. Until last year the only two types of renewable energies competing in this arena were hydro and geothermal. Rio Tinto smelts Aluminium in Iceland in geothermal-based energy consumption. However there a new kid on the block. The wind … wind energy … onshore and offshore. In the following lines, we give you some exceptional examples of how wind energy in entering this market competing on the TWh production scale. Norsk Hydro will be purchasing 650 megawatts of electricity from the new wind energy system in Sweden for the next 19 years. The system that will be providing this electricity is called the Markbygden Wind Farm, a 4,000 MW facility when the construction finished by 2021. Once the wind farm is completed and fully operational, it will increase Sweden’s wind energy capacity by more than 12%. The deal formed with Norsk Hydro allows for development on the project to be accelerated somewhat. Swedish wind power firm Markbygden will supply 1.65 TWh annually to Norwegian aluminum company Norsk Hydro from the beginning of 2021 to the end of 2039, the firms said on Tuesday. The contract would contribute to supplying power to Hydro’s aluminum plants after its existing long-term power contract with Norwegian utility Statkraft expired in 2020, it added in a statement. The power will be supplied from the Markbygden 1 (650 MW) onshore wind park located west of Piteå, northern Sweden, which is owned by GE Energy Financial Services and Green Investment Group, part of Macquarie Group. The wind farm is a part of the larger Markbygden project developed by Svevind which is planned to have over 1,000 turbines and produce around 10 TWh annually when finalized. Please use the sharing tools found via the share button at the top or side of articles. Copying articles to share with others is a breach of FT.com T&Cs and Copyright Policy. Email licensing@ft.com to buy additional rights. Norsk Hydro, one of Europe’s largest aluminum producers, has agreed to buy most of the electricity from a €800m wind farm in Sweden, highlighting the increasing importance of industrial energy users in driving uptake of renewable power. Macquarie, the Australian bank financing the project with General Electric of the US, said it believed the deal was the biggest of its kind with a corporate energy consumer for wind power. Power purchase agreements by large companies are well-established in the US, where technology groups including Apple, Facebook, and Google have been prominent among those underwriting development of wind and solar projects. The Norsk Hydro deal shows how the trend is also gaining momentum in Europe as companies respond to regulatory pressure and economic incentives to reduce their carbon emissions and embrace renewable power. The Norwegian group has agreed to buy a fixed volume of electricity for 19 years from the 650-megawatt Markbygden wind farm, which will increase Swedish wind power capacity by more than 12 percent. 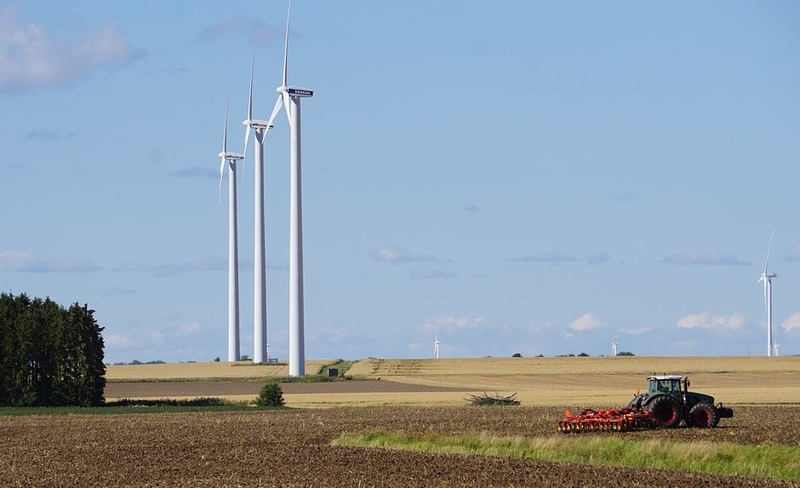 Edward Northam, head of Green Investment Group, the Macquarie unit backing the project, said the deal would allow development of the largest single-site wind farm in Europe with minimal subsidies from the Swedish government. This showed how corporate energy users were creating a new model for renewable investment as the falling cost of wind and solar power led governments around the world to reduce subsidies for green power, he added. “Investors in long-term infrastructure assets are still looking for some revenue certainty and structures such as this one are going to fill the gap [as subsidies are withdrawn],” said Mr. Northam. “It provides predictable cash flows for the investor and certainty for the corporate consumer on energy prices.” Microsoft has recently announced two similar deals in Europe with commitments to buy all the output from two new wind farms in the Netherlands and Ireland with a combined capacity of more than 200MW. Technology companies have been among the trend leaders because of the heavy energy needs of their data centers and cloud computing services, often coupled with ambitious commitments to reduce their carbon footprints. Energy-intensive manufacturers such as Norsk Hydro are also showing growing interest in underwriting renewable power projects as policy measures to tackle climate change increase the cost of carbon emissions in many parts of the world. In the US and Mexico, companies have announced purchase agreements for more than 2 gigawatts of renewable power capacity so far this year, according to the Business Renewables Center in Colorado. That is equivalent to two nuclear reactors. The Swedish project marks the first for Green Investment Group outside Britain since the former UK government-owned entity was acquired by Macquarie in August for £2.3bn. It was previously known as the Green Investment Bank with a remit to finance UK clean energy projects, but Macquarie is expanding its reach into Europe. Macquarie and GE jointly acquired the Markbygden project from Svevind, a Swedish developer, and will jointly invest €300m, with a further €500m of debt finance from investors including the EU’s European Investment Bank. GE will supply 179 turbines for the wind farm and jointly operate it with Green Investment Group.